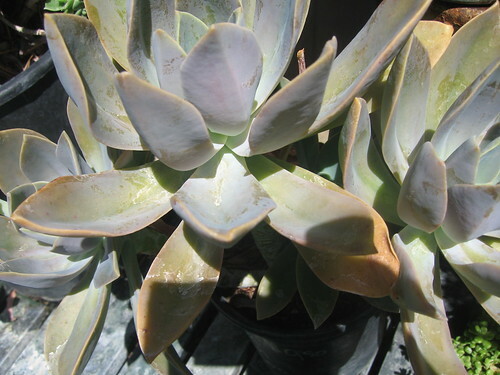 Echeveria are one of our very favorite plant families here at Johnnye Merles. There are versatile, easy to grow, and look awesome year round and mixed into virtually any garden design style. 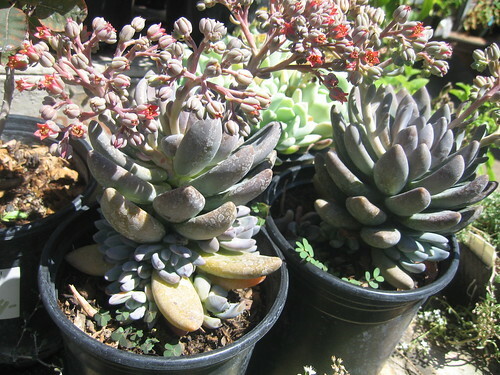 They are technically a succulent, though we find them to be much more hardy than the tender succulents you might be familiar with. Native to Mexico through Central American into northwester South America, they seem do do particularly well here in Southern California as well. Cool fact? 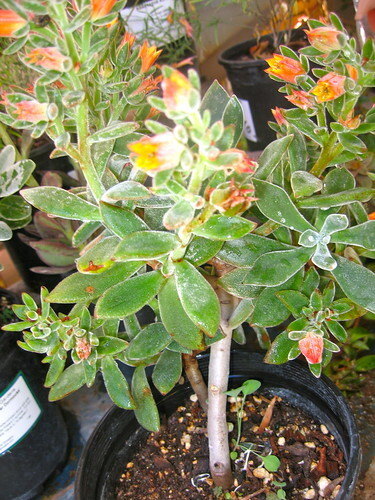 They were named after an 18th century Mexican botanical artist, Atanasio Echeverría y Godoy. 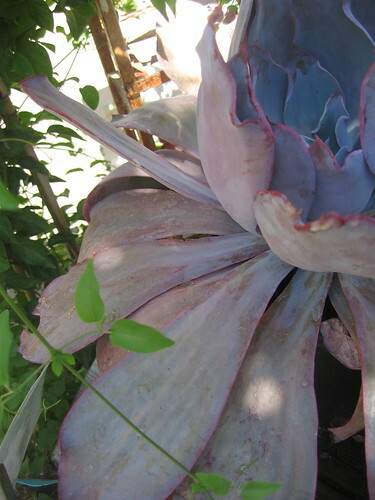 They are low water/drought tolerant plants, making them a perfect choice for your water conscious gardens and pots. Even better though, is that based on our experience, many of them are able to tolerate a certain amount of shade and even some frost, making them even more versatile! 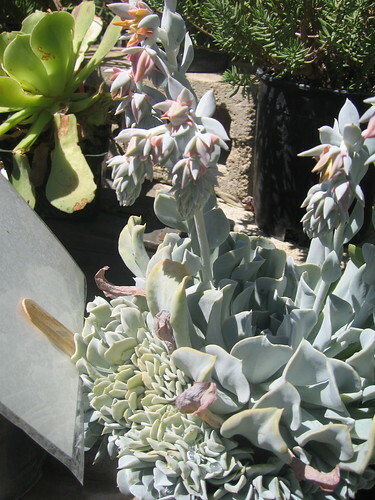 When designing with Echeveria, you have a lot to work with: versatile growing conditions, an amazing array of colors and blooms, and a cool, ‘architectural’ quality to their leaves and structure. I’ve worked them into garden designs of all types, with much success: native/drought tolerant plantings, ‘minimalist’ landscapes using a lot of grasses and succulents, as well as classic cottage and English style gardens. 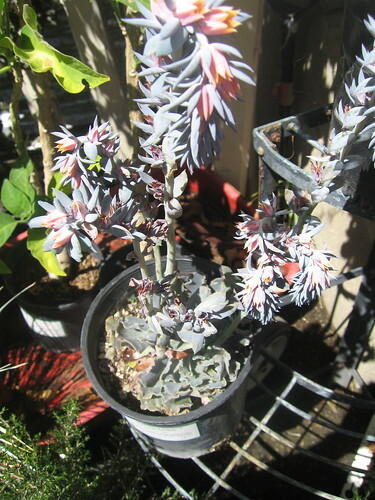 Care is very easy; clean out dead leaves, and I like to prune back the dead stalk once they are done flowering. Even though they are drought tolerant, occasional deep watering and fertilizing will get an even better performance out of them if you are able to do so. I took a few photos of some of the Echeveria we have in stock right now at Johnnye Merles - check out the variety and diversity of these plants, and of course, be sure to stop in and take one home!